Dingfu Factory in Houjie Town, Donguan, China. 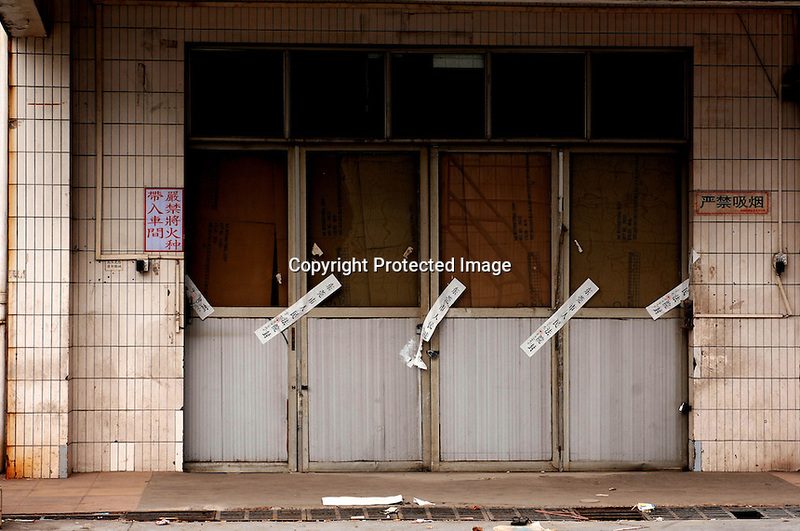 The sign outside the factory that made shoes for Zara and Nine West amongst others, reads that the "Donguan People's Court have closed the factory" . As the economy changes and Chinese labour gets more expensive, factories are cosing leaving ghost towns behind them.